Click Tools > Fiddler Options > Connections. Ensure that the checkbox by Allow remote computers to connect is checked. If you check the box, restart Fiddler. Hover over the Online indicator at the far right of the Fiddler toolbar to display the IP address of the Fiddler server. 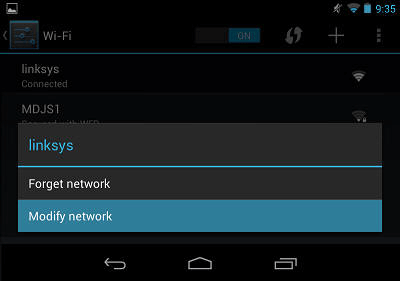 Tap and hold your current Wi-Fi network. Select Modify Network. Tap the Show advanced options box. Tap the Proxy settings dropdown and select Manual. 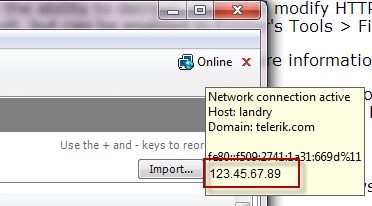 Type the IP address and port (usually 8888) of the Fiddler server. To verify this configuration, go to http://ipv4.fiddler:8888/. Chrome should display the Fiddler Echo Service webpage, and the traffic should appear in Fiddler. After using Fiddler, return to the Proxy Settings screen above and remove the proxy. 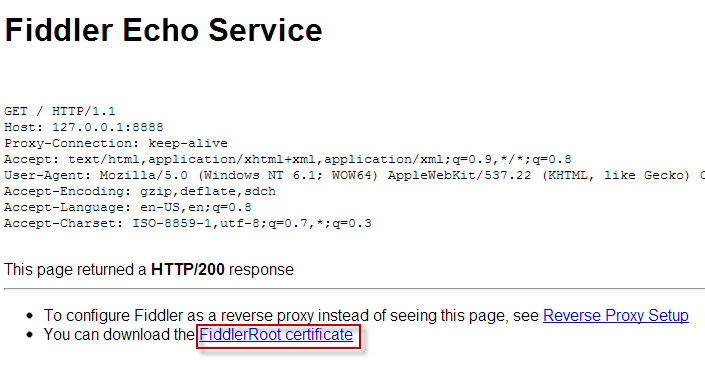 On the Fiddler Echo Service Webpage, click the FiddlerRoot Certificate link. If the download doesn't open automatically, swipe down from the top and tap the Settings icon. 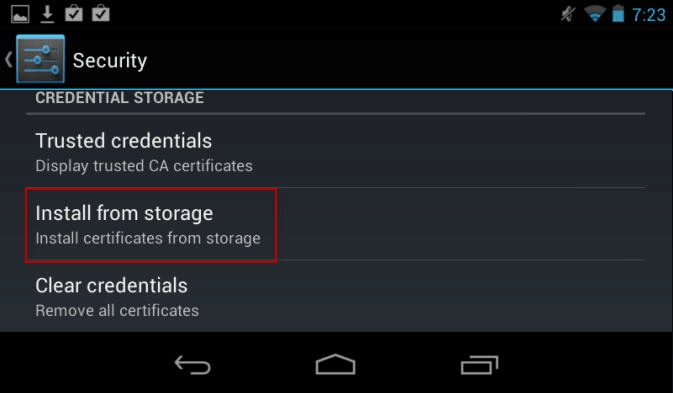 Under Credential Storage, tap Install from storage. (Optional) Type a name for the certificate. To verify this configuration, tap Trusted credentials > User. This should display the Fiddler certificate. To delete the FiddlerRoot certificate, tap Trusted credentials > User and delete the certificate.